George Barris T-Buggy. Mixed media on illustration board, circa 1960s. Framed and matted (frame not shown). 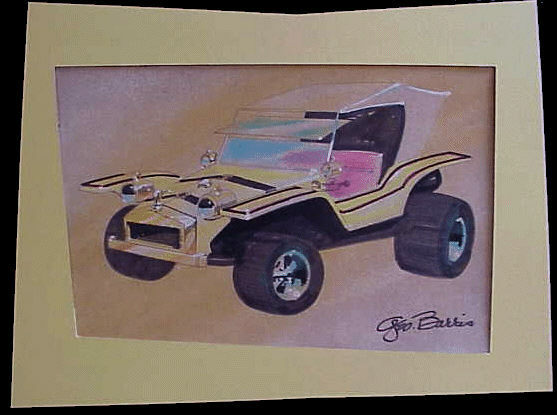 T-Buggy mixed media, signed by George Barris (1960s vintage matchbook included).